Avid Media Composer is non-linear editing system. The program allows you for film editing, uncompressed standard definition (SD) video and high definition (HD) editing and finishing. There are some occassions that you would like to get some Blu-ray HD contents into Avid to make your own film. However, the Avid doesn't support Blu-ray files. In this case, you'll need to convert Blu-ray to Avid supported video formats first. 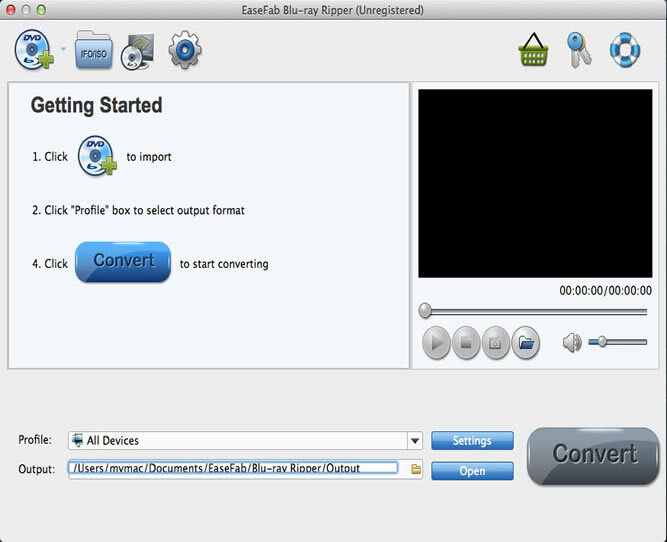 To rip Blu-ray for Avid easily and quickly, EaseFab Blu-ray Ripper for Mac is highly recommended. By runing it, there is no need to set the codec yourself, the program has an optimized preset for Avid. In addition, it also exports some advanced encoders like Apple Intermediate Codec, ProRes, MPEG-2, allowing to convert Blu-ray/DVD to seamlessly fit iMovie, Final Cut Pro, Adobe Premiere, etc. If you're using a Windows PC, please turn to EaseFab Blu-ray Ripper for Windows (Windows 8.1/10 compatible), which has the same function as the Mac version. Now download the right version and follow the tips below to finish your task. Install and run the Mac Blu-ray Ripper for Avid, insert your Blu-ray disc into the BD Drive that connected to your Mac computer. Then click the "Load Disc" button to have movies uploaded to the program. Here you can also import DVD folders, ISO files and IFO files to convert. At the bottom, you can select your desired subtitle and audio track. 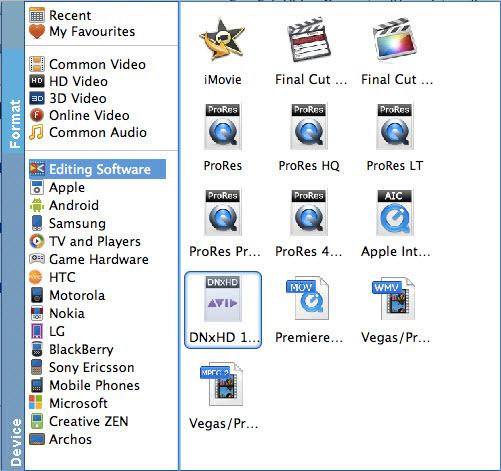 Next, choose an output format for Avid. Click the Profile bar to open the format list. Then go to "Editing Software" and select "DNxHD" as the output format to get videos with optimized settings for Media Composer. When the settings are done, click the Convert button to start conversion. And then the Mac Blu-ray Ripper will automatically start to rip Blu-ray videos for Avid Media Composer on Mac OS X (Yosemite and Mavericks included). That's all. When the conversion is finished, you can click "Open" to locate the file in your hard drive and simply import the converted Blu-ray to Avid MC 8/7/6/5 for editing.